This week Frank gives us the theme of growth. Mum loved to watch the little ducklings on the pond in the park, so when she came for her holidays when we were in the cottage, I always tried to take her somewhere to see some. This photo was taken on the River Slea at Sleaford. Mum wasn’t with me that day as it was May 2014, the month before we moved away, but we sent a copy of it via email to my sister and hope she printed it off, or at least let Mum see it. There are five, perhaps 6 ducklings in the photo. 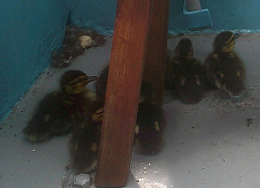 Mum would have been in heaven if she’d seen these little darlings hatched on our neighbours boat in May 2015, a year later. They couldn’t take their boat anywhere until the eggs hatched as Mrs Mallard had taken a shine to the bucket on their bow! 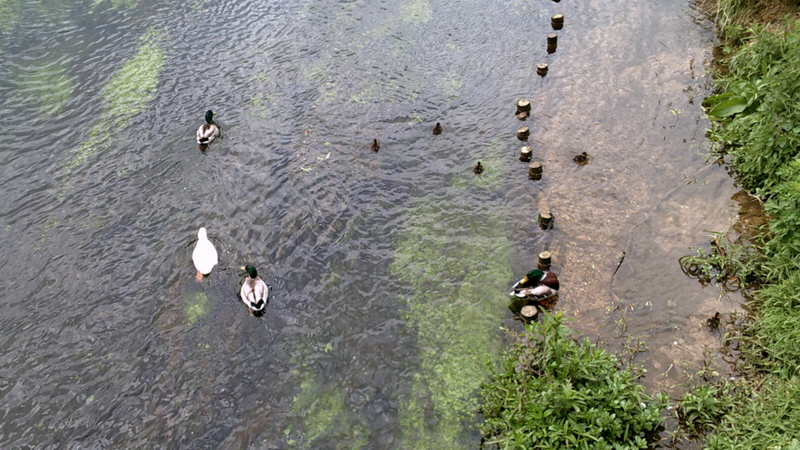 Of course last year I took loads of photos of the ducks and geese growing up here. These tiny fuzzballs grow into the most beautiful creatures. Nature is wonderful. This entry was posted in blogging, Challenge, Photos and tagged fpj-photo-challenge. Bookmark the permalink. Ducklings are so cute, and it was wonderful to watch them grow up last year. Sadly the survival rate on the marina wasn’t very good and broods would start out at 15 and diminish to one thanks to herons, pike and seagulls picking them off. That’s sad, but it’s the way of nature. Beautiful pictures and. Such love for your mother! Fed my soul this morning. I’m pleased. Mum loved swans too, so when they presented their babies to us when we were on the boat, more photos and images sent to my sister. Adorable! Love that they couldn’t move their boat! It wasn’t the only one. A cruiser had a nest of moorhens in his engine bay! All grown now, and the breeding season will be starting again shortly.